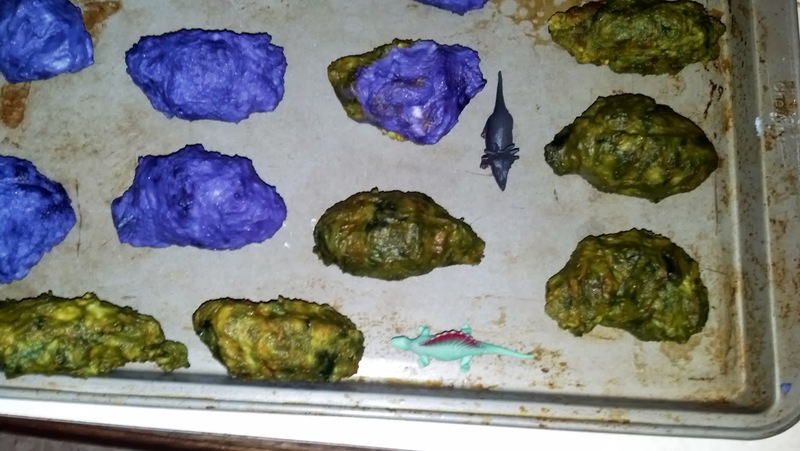 We made these dinosaur eggs for my son's birthday party. 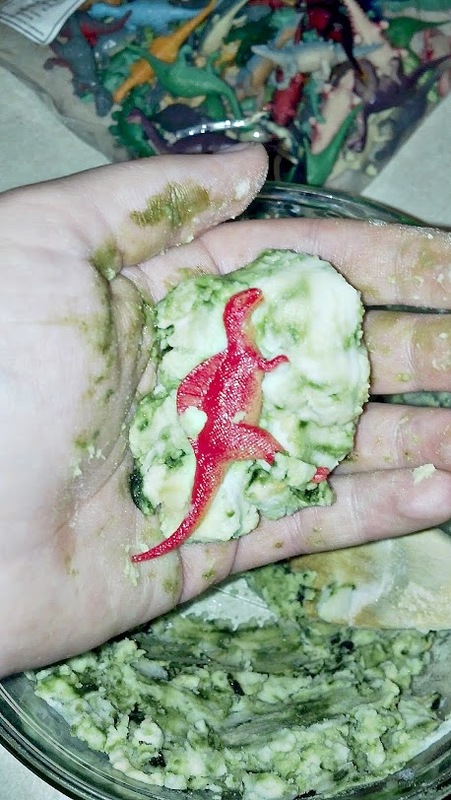 I based my fizzy dinosaur egg recipe on this bath dirt recipe from Bath Activities for Kids. 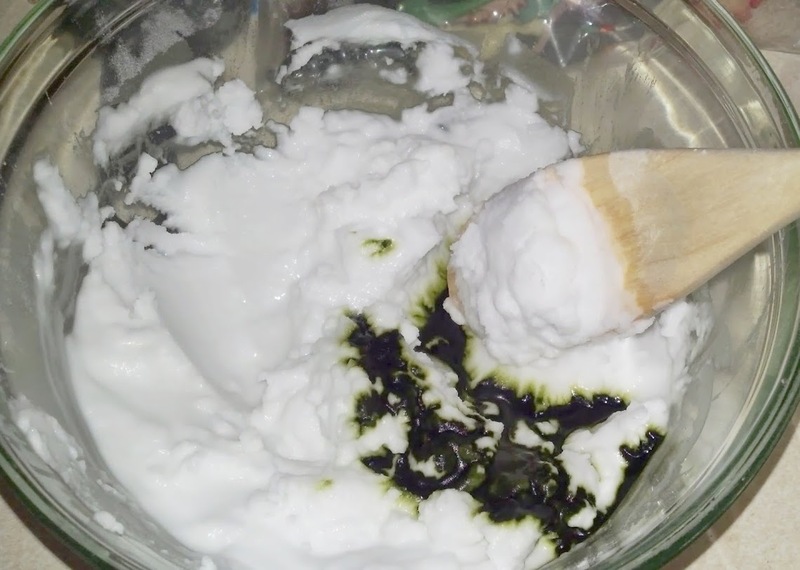 STEP 1: Mix nearly all of the water into the baking soda. Test the consistency by trying to pack it into a ball. If it feels like a mud pie, it's too wet. If it doesn't stay packed together, then you'll need to add the rest of the water. Note: I purchased a pack of 72 Vinyl Mini Dinosaurs on Amazon.com for $8.61. STEP 4: Allow eggs to dry on a cookie sheet for about 24 hours. If they still feel wet, you can place them in the sun or bake them in the oven at 200 degrees Fahrenheit. 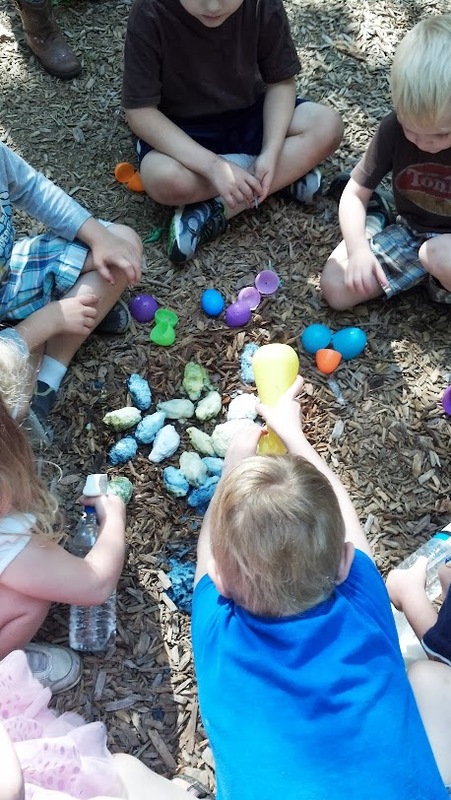 STEP 5: When the eggs are discovered, the kids can set them in a bowl of vinegar or spray them with spray bottles full of vinegar. 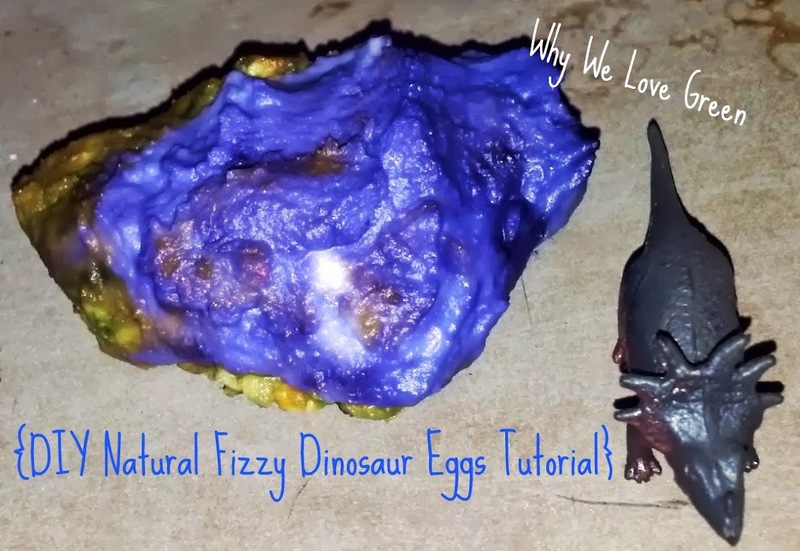 The kids at our party loved using the spray bottles to help the natural fizzy dinosaur eggs hatch! 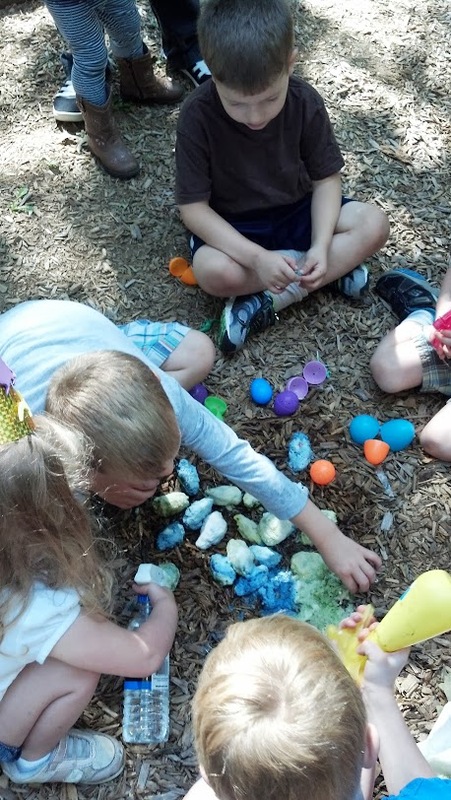 These eggs were a big hit with both the kids and the parents at the party. I loved the fact that the kids got to see some science in action with the reaction of the baking soda and the vinegar. 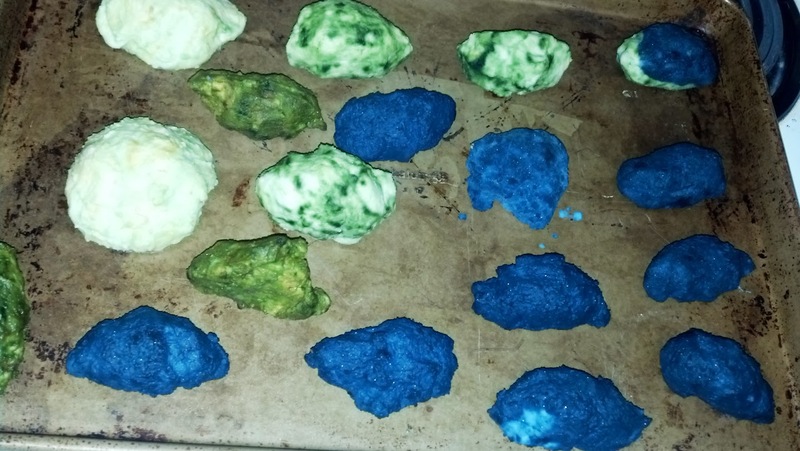 The bonus with these fizzy dinosaur eggs is that they are made with safe, cheap ingredients that are safe for little people and the environment.